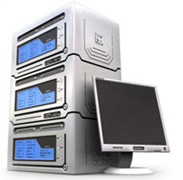 Mzansi Web Hosting is a privately owned web hosting service provider based in South Africa. It is our goal to build lasting relationships with our clients through our dedication and excellent customer service. We provide each client with a unique, customized solution suitable to their business, requirements and budget. control panel in the world. 52+ FREE Script intall withjust a click of the mouse. to assist you no matter what time or day. We know how difficult it can be switching hosts. That is why we handle the entire process for you. We are so confident in our ability to satisfy your web hosting needs that we back all shared plans with an unconditional 30 day money back guarantee. If for any reason during the first 30 days you are not completely satisfied for any reason, you may cancel your account and we will refund any hosting package fee that we have collected. We research all aspects of your business and target market and offer you the best possible solutions which are both cost and time effective.